Watch Project Blue Book Season 1 Episode 1 online via TV Fanatic with over 1 options to watch the Project Blue Book S1E1 full episode. Affiliates with free and paid streaming include Amazon. 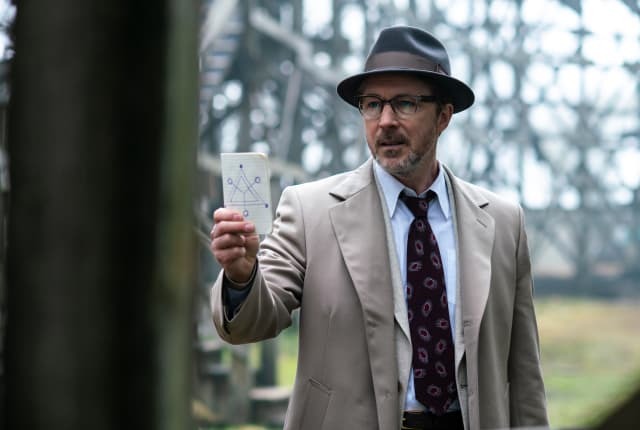 On Project Blue Book Season 1 Episode 1, Ohio State astrophysicist Dr. Allen Hynek is recruited by the Air Force into their top-secret program investigating UFOs called Project Blue Book. Our nation is suffering from a form of mass hysteria right now. One we can't afford. Not with Russia breathing down our necks in a nuclear arms race on the brink of disaster. We don't even know what we're dealing with here. Let Hollywood be the distraction. Permalink: We don't even know what we're dealing with here. Let Hollywood be the distraction.